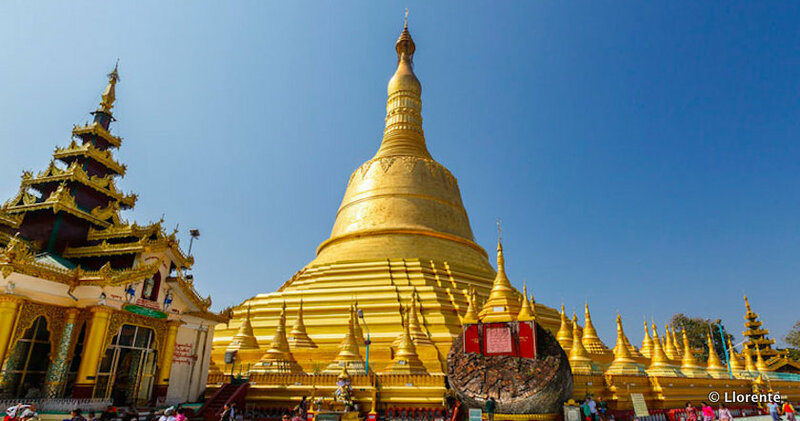 Located 80 kilometres north east of Yangon, Bago is one of Myanmar’s ancient capitals, known for centuries as Hanthawaddy; in colonial times it was known as Pegu. Apart from its market and generally bustling atmosphere, the centre of town does not hold much of interest – but there are various temples and other religious sites to be found in here, including the Shwemawdaw Pagoda and two reclining Buddhas: the Mya Tha Lyaung Reclining Buddha and the massive 55-metre long Shwethalyaung Reclining Buddha. The Shwemawdaw Pagoda Festival takes place in late March or early April and features a range of theatrical shows at this famous shrine. To find out more, go to festivals in Myanmar. For a wider selection of photos from Bago, go to our Flickr photo album. There are Visa- and Mastercard-ready KBZ and CB bank ATMs in central Bago. Get in touch with one of our experienced travel advisors here.